I bought myself a nice planner (a large / A5 sized Kikki.K) earlier this year in hopes of keeping better track of our budget and bills. Scraps of paper and my pregnancy addled brain weren't up to the task any more. 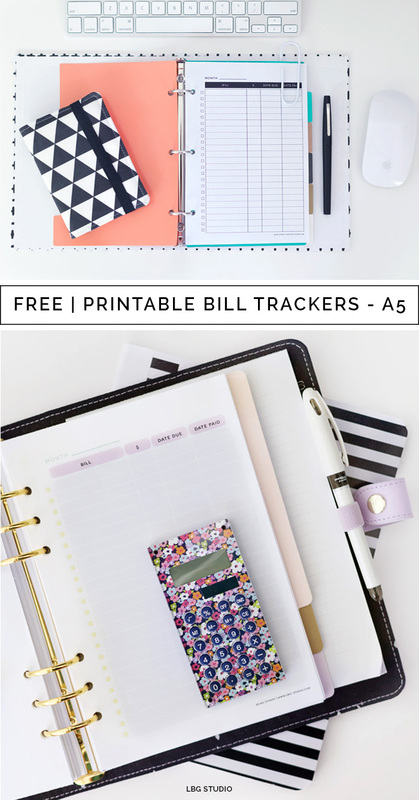 I came up with a printable bill tracker worksheet type thing that I could use in my planner to make life easier. And since it worked out so well for me I knew I'd want to share! I tweaked the original and came up with two more versions for the sake of variety. These also fit into mini 3 ring binders like the one below. This particular binder is by Mara Mi and was purchased at Target. It measures 7" x 9" closed. I also spotted some mini binders in the Dollar Spot that would probably work as well. To download, simply click on the links below. 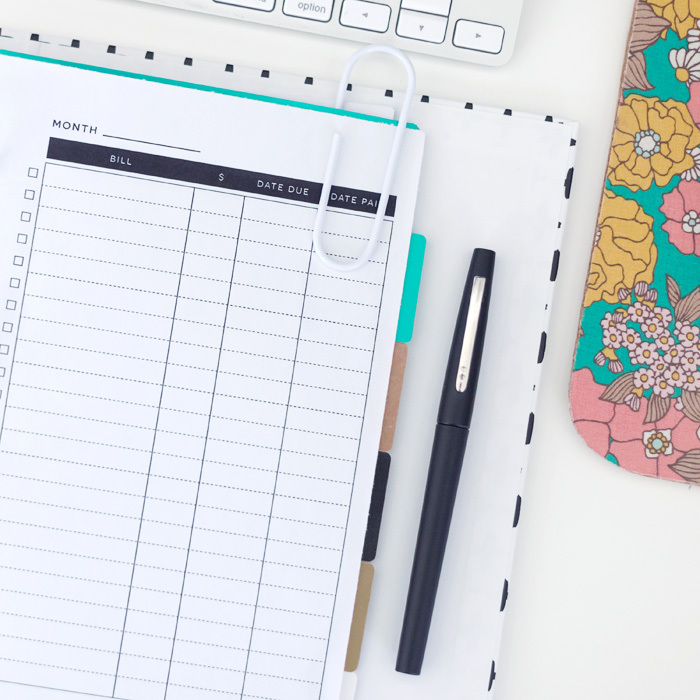 Print them with no scaling and use the registration marks included to trim the paper down to size. 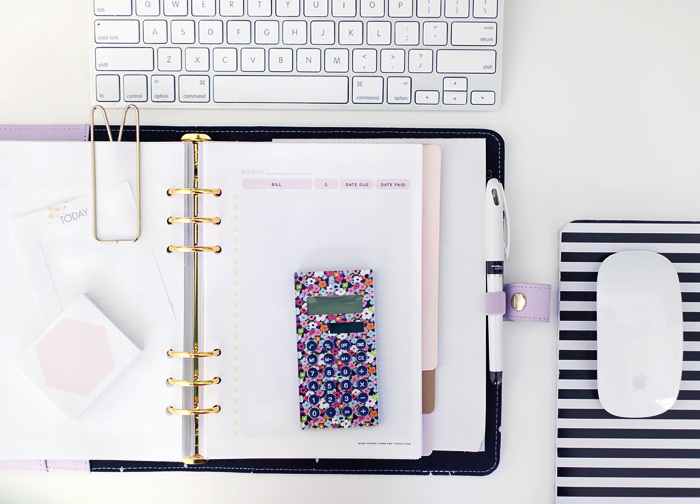 Punch holes to fit your planner/binder and you're ready to to go. Enjoy! *Pastel and Minimalist are shown in the photos in this post. Monochrome is a greyscale version of Pastel.